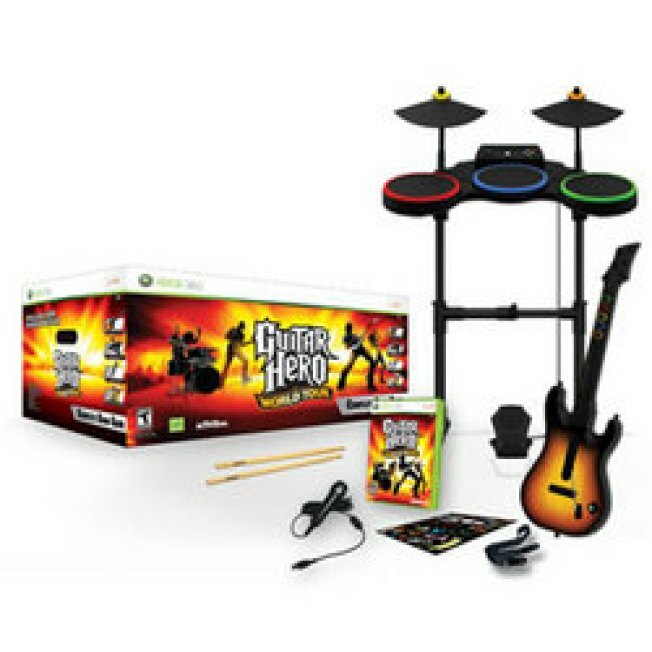 This is a dark day for my upstairs neighbors, who have almost figured out the intro to “Learn to Fly”: the video game “Guitar Hero” will no longer be published, parent company Activision Blizzard Inc. announced on Wednesday. "Due to continued declines in the music genre, the company will disband Activision Publishing's 'Guitar Hero' business unit and discontinue development on its 'Guitar Hero' game for 2011," the company explained in a statement. At first glance, the discontinuation of “Guitar Hero,” which allows players to tap along to licensed music on simulated frets, seems like a surprising move; since its 2005 release, the game’s plastic controller has been a recognizable part of pop culture. It spawned numerous offshoot games, including “DJ Hero,” “Band Hero,” and specific “Guitar Hero” releases for Van Halen, Metallica, Aerosmith, ‘80s Rock, “Warriors of Rock” (so…mostly Van Halen again?). “Guitar Hero” had actual plot lines in Gossip Girl and Couples’ Retreat.